David Gilmour will spend the last half of 2015 and first half of 2016 on the road. Promoting his new album, Rattle That Lock, the Pink Floyd musician will make several stops in Europe before heading stateside for the North American leg next year. With stops in Los Angeles, Toronto, Chicago and New York already in the books, Gilmour has just dropped some even more exciting news. Already booked in Chicago for a two-show run, he’s also added a third performance at the Auditorium Theatre on April 6. With a capacity of just 3,875, the venue is five times smaller than the United Center which holds 20,500 people. Tickets go on sale Friday, August 21 at 10 a.m. 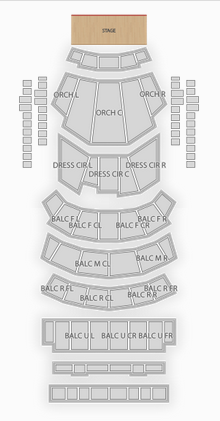 Check below to see all available tickets, as well as seating chart info for the theatre. Tickets go on sale Friday, August 21. They range from $113-$163 on the primary market. Click here for more info. Image courtesy David Gilmour’s Facebook page.